For all your business computing needs. Small Furniture, Ornaments, Clocks, lamps, Kitchenware, Blinds, Curtain Poles, General Ironmongery etc. For all your motoring needs. Visit our Aladdin's Cave of motoring accessories. New Larger Shop Now Open! For flowers for that special occasion. 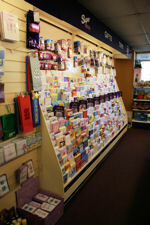 We stock a large range of gifts, silk flowers, glass ware, vases, candles, scented gifts and soft toys. 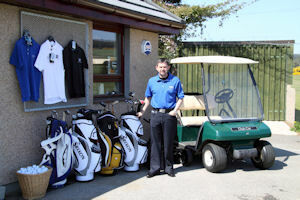 The newly opened PGA Gary Lister Pro Shop at the Alness Golf Club is fully stocked with all the latest 2009 golf clubs, clothing and accessories. 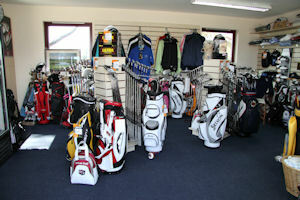 For all your Golfing supplies. Drivers, Irons, Putters, Wedges and so much more. All the leading brands at very competitive prices. Being Independent, we are able to select from all the products available in the marketplace - making sure you get the right product for your individual needs. For free independent advice on Mortgages, Insurance and Investments, call Gordon Maclean on 01349 883 441 now! Your local newsagents centrally located on Alness High Street and run by the Buchannan family. We specialise in designer frames and lenses with the emphasis being placed on customer satisfaction. Spectacles lens by all the leading brand names with loads of designer frames to choose from. Qualified optometrists always available for comprehensive eye check. Nobody looks harder to find you a great deal! Package Holidays, Flights, Money Exchange, Round the World Trips, Overseas Weddings, Skiing & City Breaks. Hornby Trains, Second Hand, Dinky, Corgi, Matchbox toys. Good mixture of collectable toys 7 models for young & old. 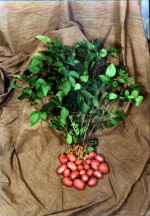 Locally grown Desiree Potatoes in 50kg bags.